5 Reasons Why Employees Don’t Get Enough Feedback | Bartell & Bartell, Ltd.
Real-time employee feedback is crucial. Providing your team with continuous communication on how to improve performance is required for having a successful business. Studies have shown that companies that give more ongoing feedback have higher employee engagement, greater customer satisfaction, less attrition, and higher overall profit and business performance. But not all feedback is equal. While year-end performance reviews and formal written feedback are helpful, it’s often not enough. What employees really need is continuous, “real-time” feedback – that helps correct poor work behavior as it occurs. The problem is, managers and leaders rarely provide this “on the job” feedback. In a study from the Harvard Business Review, two times as many people dislike giving negative feedback compared to those that like to give it. So, it’s not much of a surprise that 65% of employees say they want more feedback and don’t get enough input to make improvements to their work. Given its importance to business performance, why do managers avoid giving feedback and how can we fix it? Here are a few common reasons that may be preventing feedback in your workplace. One reason managers don’t give feedback is simply lack of time. Between coordinating their team, and completing their own work, managers always have a lot going on. Getting results and putting out fires often takes priority over providing on-the-spot corrective advice to a member of the team. While this can be an excuse for putting it off – i.e. “I’ve got more important things to do” – it’s also a very legitimate issue. Providing helpful feedback does take time. First, you need to prepare for the conversation and gather data if needed. Next, you need to hold the conversation. Then finally, you need to follow-up, which takes even more time. 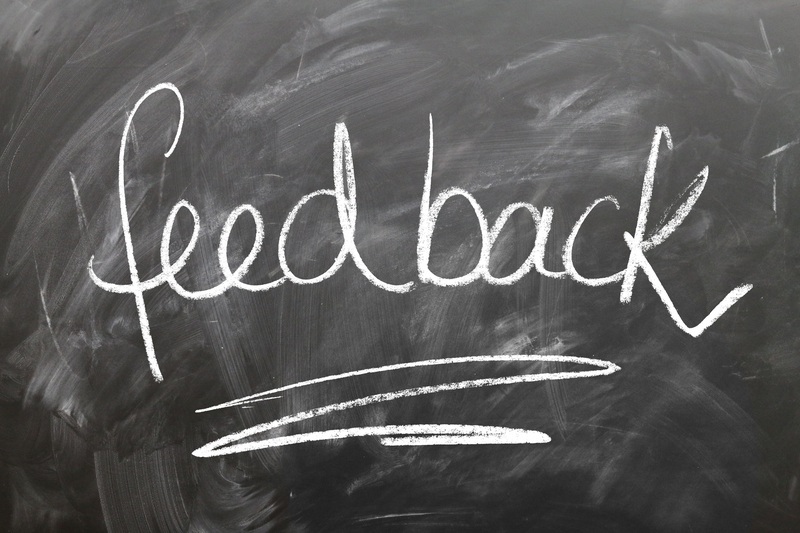 Feedback back shouldn’t be given and then forgotten – it should be the start of the development process – which takes time and energy. But this is a critical step to ensure the feedback was heard, understood, and implemented. But not having the time should be no excuse. Why? Because providing feedback is intended to actually save you time in the long run. Putting out fires is easy if there are no fires to put out, and achieving exceptional results is simple if you have a great team. That’s what development is for – to enhance the performance of your team. So, while you may be saving time now by avoiding that conversation, in the long run, you’re actually hurting your own productivity. For feedback to be effective, it needs to be delivered appropriately. There is often a fear that poorly delivered feedback can be worse than no feedback at all. And it’s true. Mixed messages, lack of clarity, and misplaced blame are all significant issues that need to be avoided when correcting someone. Sadly, natural born experts in providing feedback are few and far between. Many managers lack formal training in this area and simply don’t know the basics. In fact, it’s estimated that only 6% of managers are skilled at having candid conversations about performance. Plus, even if they are trained, some managers may not have the emotional intelligence needed for feedback to come across appropriately. The good news is that feedback is a skill that can be learned – but it takes practice. Remember to start slowly and practice with fairly “safe” issues. Don’t set out to conquer your hardest challenges from the beginning. And most importantly, seek feedback on your feedback. Ask for advice from colleagues or trusted advisors who can help you avoid pitfalls that they may have encountered. Lack of training in delivering feedback magnifies what is likely the most common reason managers avoid feedback: fear. There are many fears that stem from the idea of giving feedback. Fear of conflict, losing relationships, creating an awkward work environment, being disliked, not being respected/listened to, the recipient fighting back … the list goes on. Worse, these fears can be aggravated by past negative experiences. When someone breaks down in tears, or masterfully shifts blame to another, your own embarrassment and discomfort can make you want to never give feedback again. But it’s important to realize that feedback hurts – the giver that is. Or at least it should. Discomfort is a sign you aren’t completely disconnected from the situation. By definition, feedback is hurtful (but not harmful) to another person, and decent people don’t like to hurt others. If you don’t feel anything, then that’s when you should start to worry that something is wrong with you. Also, many managers believe that employees simply don’t want to hear something negative about their work. But that doesn’t seem to be the case. Studies have shown that when given a choice between positive feedback (praise) or corrective feedback, 57% of individuals chose corrective feedback, compared to 43% who preferred to receive positive feedback. So, amazingly, employees actually like to be corrected more than they like to be praised. Why is this? Likely, it’s the fact that people innately want to do better. Improvement is in our nature. We want to be more successful and understand that getting praised for doing well isn’t as helpful as someone correcting us for doing poorly. It’s better to know what not to do, then to do a whole bunch of things, and hope one of them is right. The business environment you’re in can also make feedback difficult. When giving and receiving feedback isn’t the norm, it makes providing feedback effectively the same as “breaking the rules.” Many of us have been part of these cultures. Often conditioned by years of minimal or non-existent guidance, employees simply don’t know how to handle feedback. Think back to your school days. Your teachers gave out regular suggestions for improvements and graded your homework and exams – clear feedback was everywhere. It was simply expected, and you didn’t take it personally. It was part of a “learning culture.” However, in cultures devoid of this sort of conditioning, people often take any criticism as a personal attack. They can’t understand that what you’re trying to offer is intended to be helpful. For managers, this makes your job even harder. If you’ve tried to give feedback, only to have it excused away or outright repelled, you’ll know the feeling of reluctance to give feedback to anyone else. This perpetuates the feedback void cycle. Like any true cultural change, you’ll need support, time, and perseverance to make a lasting improvement. Finally, many don’t give feedback because it’s simply “not their job.” You may see yourself as a peer, subordinate, or third party to those who need the correction. However, this is still no excuse. If you saw a critical error in a report about to go to a client, would you say, “it’s not my job to fix that, that’s someone else’s job.” That would be foolish (or, if you said yes, you may have a poor team environment). High-performance organizations look past job titles and instead work as a team. The same is true with feedback. If you see an area for improvement, it should be brought to the individual’s attention – no matter if you are their “boss” or not. This can obviously be delicate – and if the culture isn’t right, politically dangerous. For example, helping your manager improve by offering “correction” can either earn you points or cost you everything you’ve gained. So, be careful – and tactful – in your approach. But remember, if feedback is delivered well and is honestly meant to be helpful (and the recipient is wise) then they will see your intent as positive, and not take it personally. So, how does one go about overcoming these feedback barriers – and create a higher performing organization? 1) Focus on the recipient. Remember that feedback is not about you, it’s about them. It’s for their benefit and should make them more successful. If you go into a situation honestly seeking to be helpful, what legitimate complaint could the individual have? Don’t start a conversation with the answers. Instead, ask questions and listen first to make them feel heard. Research has clearly shown that listening to someone else’s story – no matter if you use the information or not – automatically makes you seem more impartial and better at giving feedback. Plus, listening helps you gather data and helps prevent potentially embarrassing misdirected guidance. 3) Gather your data – and make a decision. As part of listening first, always make sure you have the right data before having the conversation. There are always at least two sides to a story – and they are often very different. Make sure you objectively listen to them all. Additionally, try to remain unbiased and don’t jump to conclusions before you have a chance to gather all the relevant info. Then, once you have the data, come to a clear decision based on the evidence. This should be a decision you are willing to stand behind. Don’t go into a situation still thinking over which approach to take. Make a decision and act on it. We all know that everyone is different – and for giving feedback, this means you must tailor your delivery to each person. What could seem like no big deal to one, could shut someone else down completely. For example, introspective individuals often relate work quality to their feelings of personal value. Thus, if you criticize their work you are criticizing them personally. Likewise, extroverted or relationship-oriented individuals build their life around others. If you provide them with negative feedback in any sort of public setting, they will likely become too embarrassed to hear a word you’re saying. Simply, feedback should be about objective performance-related elements. It doesn’t matter if you “just don’t like someone” – unless it’s getting in the way of performance. Remember to focus on what they can tangibly do better, and don’t focus on how their personality or personal factors may contribute to the cause. This makes the feedback both actionable and helps prevent them from taking it personally. People are more willing to fix something about how they do something, then about who they are. They personally aren’t the problem, it’s what they are doing that needs corrected. While behaviors always have a deeper cause, in the short run all that really matters is that the behavior improves. And more often than not, the underlying issues will improve to match the new behavior.